If Midnight in Paris is anything to go by, Paris is arguably the greatest literary city in the world. Between its poets and philosophers, novelists and playwrights, this city is a historic melting pot of famous thinkers and revolutionary ideas. 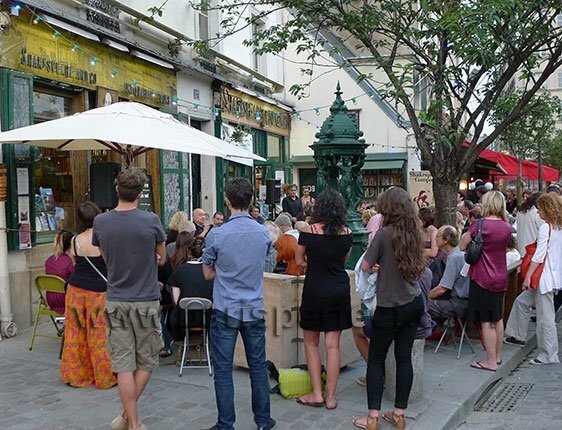 Where else could you discuss existentialism in the seats of Simone de Beauvoir and Jean-Paul Sartre, or pay your respects at the graves of Molière and Proust? 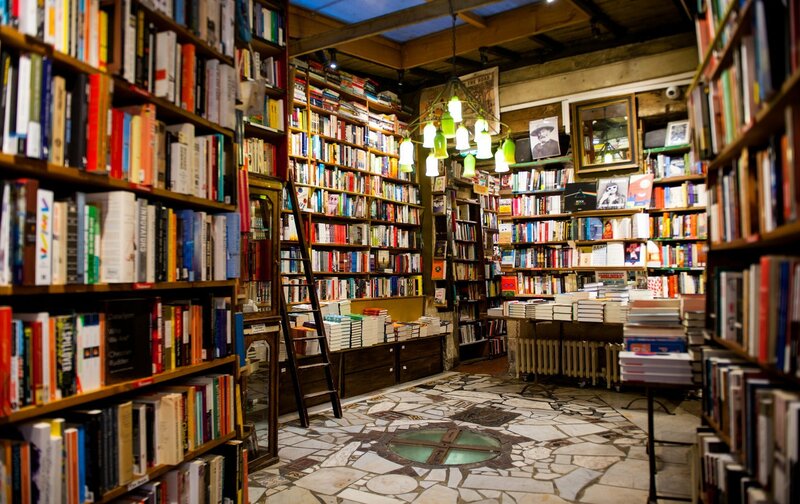 Of course, there are bookshops on almost every corner and you’ll be spoiled for choice – but here are a few of our favorites. To be at the heart of literary Paris, stay at one of our elegant homes which are guaranteed to give you ample creative inspiration. 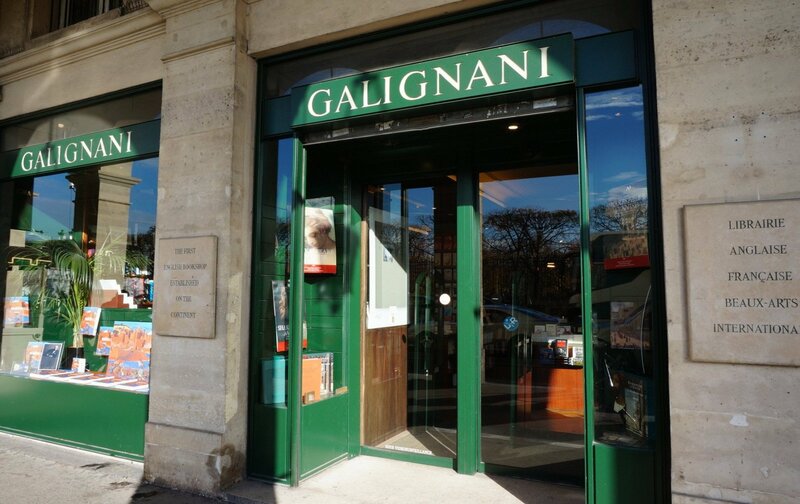 Proudly established as the first English bookstore on the continent in 1801, Galignani is located next to Angelina on well-heeled Rue de Rivoli. The interior feels tranquil and dignified with a vaulted glass ceiling and colonial potted palms. English language books are dotted throughout the store as well as the substantial area reserved at the back. It’s a refuge for expats, offering a vast compendium of Everyman and all the Penguin Clothbound Classics you could dream of. The children’s corner is blessed with a tasteful selection of storybooks in English and French, so you can encourage their bilingualism young. 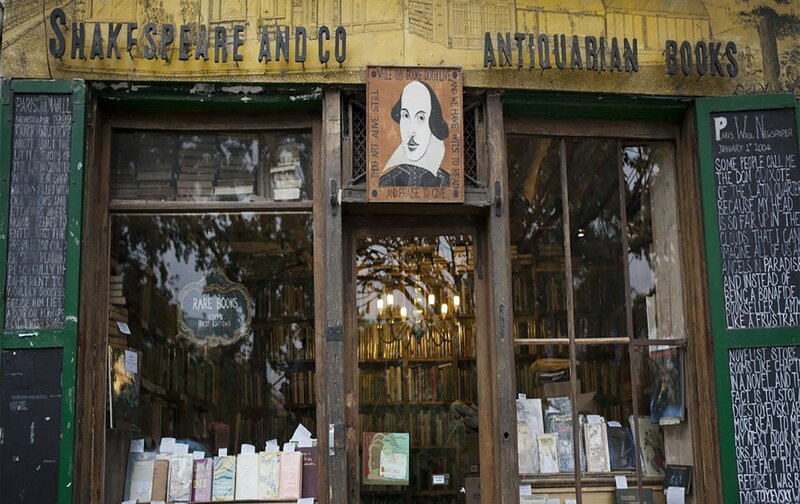 No list of bookstores in Paris could omit the legendary Shakespeare and Company. This tourist hotspot is a destination for literary lovers around the world, where old timber beams and irregular, floor-to-ceiling bookshelves preserve an old-world charm. The friendly and engaging staff host a number of literary events – from coffee mornings and poetry readings to book launches and guest speakers. Downstairs, you’ll find everything including fiction, philosophy, art, history, economics, travel, music, religion, biography, and Shakespeare (of course). Retreat upstairs to the quiet of their poetry section, or curl up in the comfort of the reading room where a cat named Aggie resides. 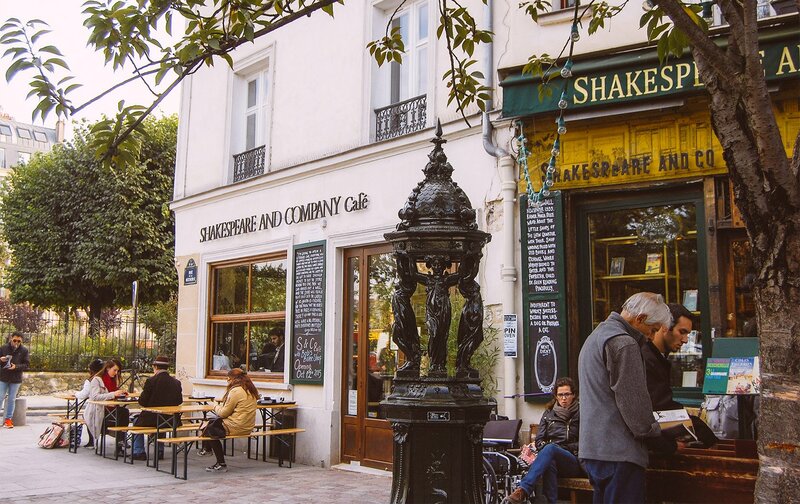 Stopping by Shakespeare and Co is easy if you stay at the gorgeous Maubert apartment. It’s literally four minutes walk along the beautiful Quai Montebello; what better treat that strolling along the Seine as you head there. Its spacious size means it can accommodate up to six people so it’s perfect for a family or a group of friends. If you love eccentric old bookstores but would rather avoid the tourist crowds, look no further than the Abbey Bookshop. Located only a couple of blocks away, this narrow 18th-century building is a refuge for book lovers and offers a truly authentic bookstore experience. Owned and run by a knowledgeable Canadian expat who relocated from Toronto in 1989, the store is mostly English-language with a mix of old and new. Inside you’ll find endless towers of books – a maze of literature and narrow passageways with shelves hidden behind shelves. Allow yourself plenty of time in this place: bookworms won’t want to leave. 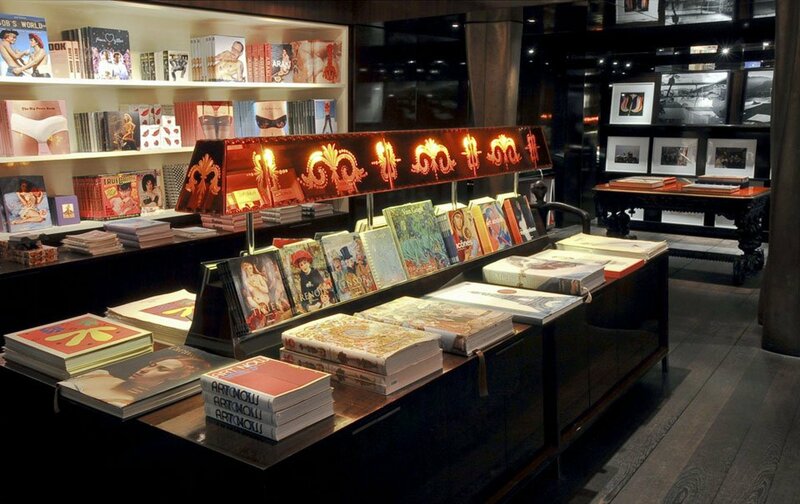 This elegant minimalist store in Saint-Germain-des-Prés is the place to go for coffee table books while in Paris. The polished boutique offers an expert selection of every size, description, and medium, from the gargantuan art catalogs of Egon Schiele to an architectural compendium of Frank Lloyd Wright. Towards the front, albums of worldwide travel photography and stunning landscapes inspire wanderlust, while more niche books on erotica, comic books, and tattoos lurk in the back. Of course, you’ll find the requisite books on Manet, Monet, and Paris through the ages – which could make the perfect souvenir. 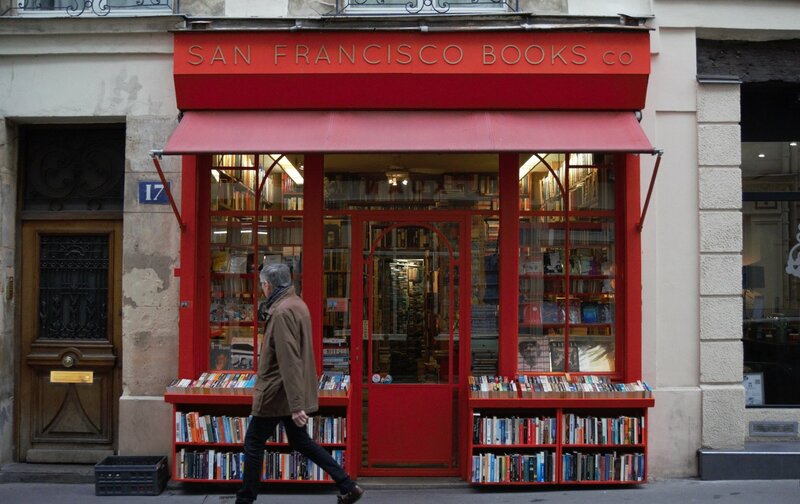 Another second-hand, English-language bookstore well worth a visit is the San Francisco Book Company. Hidden away on a quiet backstreet near leafy Jardin du Luxembourg, this place sells everything from mystery novels and sci-fi to humanities and children’s literature. Open seven days per week all year round, there’s a sense of community spirit here which makes it a comfortable place to browse. The staff here are welcoming and keen to assist, and the in-store buyer will happily order anything for you they don’t already have. 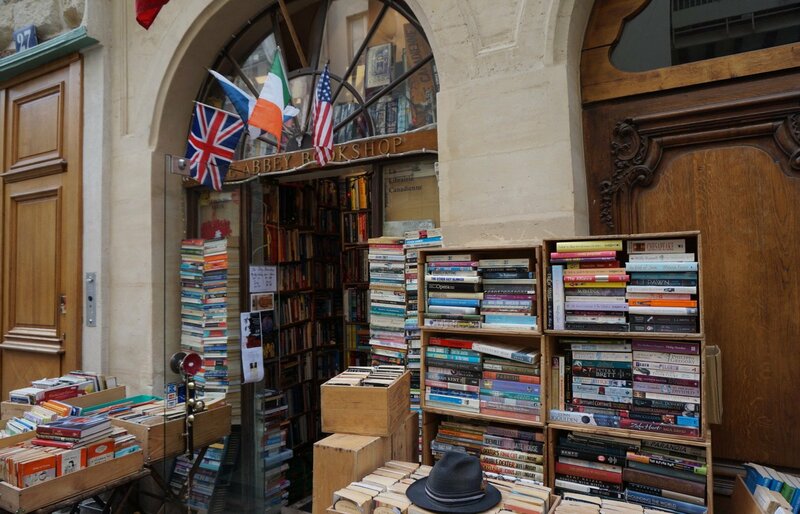 If you love bookshops and Paris history as much as we do, you’ll enjoy booking one of our exclusive tours which take in the beautiful bookstores in Paris. Try our Paris literature walking tour for a fascinating guide through the ages, from Balzac to the Beats. 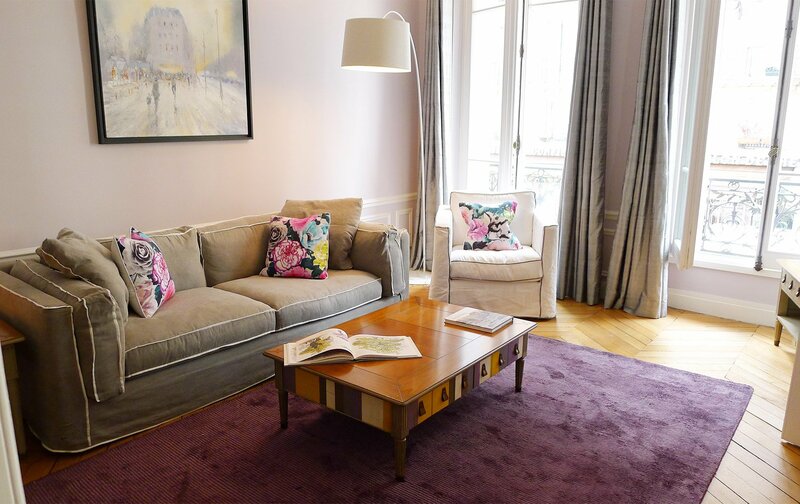 Book one of our prestigious Paris apartments in the city to really get the most out of your Paris vacation. Contact us today and we can make your holiday planning easier. Posted on Thursday, November 30th, 2017 at 1:32 pm in Parisian Living. You can follow any responses to this entry through the RSS 2.0 feed. You can leave a response, or trackback from your own site.